Pennsylvania offers its teachers a 401(a) retirement plan. 3. Can a Federal Employee Get a Thrift Savings Plan? The Commonwealth of Pennsylvania sponsors a retirement pension plan for the state’s public school employees, including teachers. The Public School Employees’ Retirement System, or PSERS, is the agency responsible for administering the plan. Pennsylvania’s teacher pension plan is a 401(a) plan, which is defined under Internal Revenue Service tax code as a governmental-defined benefit plan. The IRS limits participation in 401(a) plans to state, Native American tribal and federal government employees. Teacher retirement plans in Pennsylvania are classified as 401(a) plans, or government-defined benefits plans. Some states use the 403(b) retirement plan, a tax-sheltered annuity plan for public schools and nonprofit organizations. 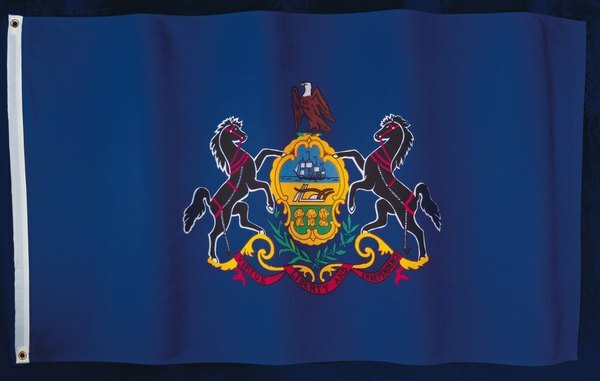 Pennsylvania and other state use the 401(a) retirement plan. A defined benefit plan, like the 401(a) plan, uses a formula to calculate a participant’s retirement benefits. The formula includes the employee’s years of credited service, final average salary and a retirement factor. The 401(a) plan allows contributions from employers, employees and both. Employees may make pre- and post-tax contributions, or mandatory and voluntary contributions, as determined by IRS rules and the employer’s plan design. All full-time employees are eligible for PSERS if employed by Pennsylvania’s public schools, participating charter schools, colleges, universities, Board of Education, school for the deaf or school for technology. Employees of community colleges and state-owned universities have several retirement plan options, including PSERS. Part-time employees must meet additional eligibility criteria to qualify for PSERS. Part-time salaried employers are eligible on the first day of employment. Part-time hourly employees are eligible after completing at least 500 work hours. Employees hired as part-time per diem must complete a minimum of 80 workdays to qualify. Pennsylvania requires its school systems to provide information on all employees to PSERS, which creates an account for each employee. Membership in PSERS is granted to participants in the retirement plan Participation in PSERS and contribution to a retirement account under the program is mandatory for full-time employees. New part-time employees may waive participation and PSER membership by providing proof of another individual retirement account. Contributions to the plan are tax-deferred and excluded from participant income for purposes of federal income tax. The plan requires contributions of a percentage of salary for full-time employees, beginning on the first day of employment. The contribution rates, which are determined by law, are based on one of four PSER membership classes chosen by the participant and the date of employment. Contributions are made through payroll deductions with funds deposited into the participant’s retirement account. Although participants may not choose investment vehicles for their account funds, their annuities are guaranteed by the Commonwealth of Pennsylvania. Also guaranteed is the interest earned on contributions while the account is active. Pennsylvania: Public School Employees’ Retirement System - What is PSERS? Public School Employee Retirement System: What is PSERS?